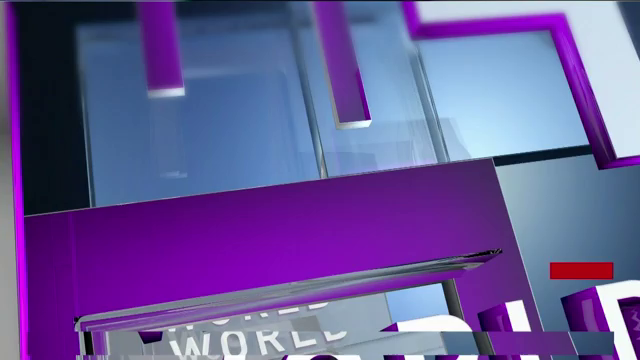 NOTE: Our “Tuesday’s World Events” category provides three short news stories from around the world. (by Ahmed Aboulenein, Reuters) ISMAILIA, Egypt | Christian families and students fled Egypt’s North Sinai province in droves on Friday after Islamic State killed the seventh member of their community in just three weeks. 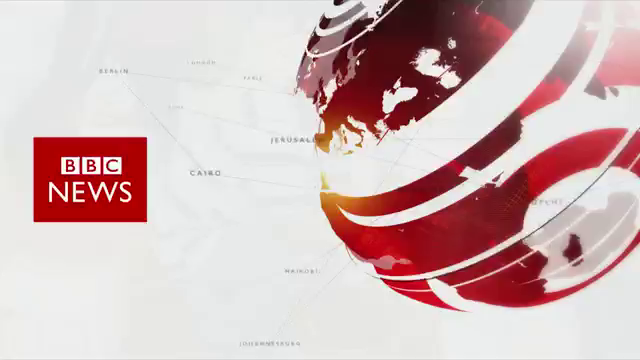 A Reuters reporter saw 25 families gathered with their belongings in the Suez Canal city of Ismailia’s Evangelical Church and church officials said 100 families, out of around 160 in North Sinai, were fleeing. More than 200 students studying in Arish, the province’s capital, have also left. Seven Christians have been killed in Arish between Jan. 30 and Thursday. Islamic State, which is waging an insurgency there, claimed responsibility for the killings, five of which were shootings. One man was beheaded and another set on fire. Sectarian attacks occur often in Egypt but are usually confined to home burning, crop razing, attacks on churches, and forced displacement. Arish residents said militants circulated death lists online and on the streets, warning Christians to leave or die. “My father is the second name on their list; anyone Christian they put on the list” Munir Adel, a vegetable seller who fled on Friday, said as he huddled with four family members at the Evangelical Church, waiting for church officials to find them a place to stay. 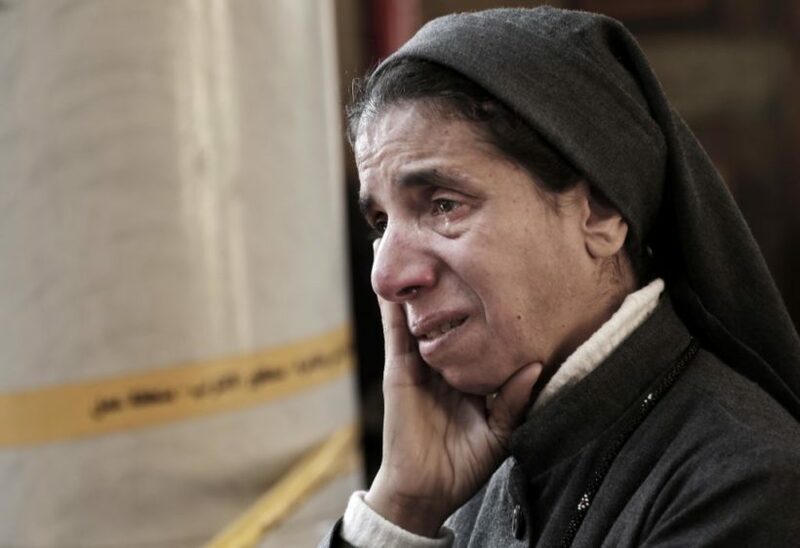 Islamic State released a video on Sunday threatening Egypt’s Christians and vowing to escalate a campaign against them after it bombed a chapel adjoining Cairo’s St. Mark’s Cathedral, the seat of the Coptic papacy, in December, killing 28 people. “Oh crusaders in Egypt, this attack that struck you in your temple is just the first with many more to come, God willing,” said a masked man in battle-dress the group said blew himself up in the chapel. Orthodox Copts, who comprise about 10 percent of Egypt’s 90 million people, are the Middle East’s largest Christian community. They have long complained of persecution. The Coptic Orthodox Church denounced “the recurring terrorist incidents in North Sinai targeting Christian citizens” in a statement on Friday. President Abdel Fattah al-Sisi told military and police chiefs “to completely eradicate terrorism in northern Sinai and defeat any attempts to target civilians or to undermine the unity of the national fabric,” in reference to the killings, his office said on Thursday. Egypt is battling an insurgency that gained pace in 2013 after its military, led by Sisi, overthrew President Mohamed Mursi of the Muslim Brotherhood. Hundreds of soldiers and police have been killed. Major General Mostafa al-Razaz, North Sinai’s deputy police chief, said security forces were capable of handling the “crisis” and that they added more patrols and checkpoints. 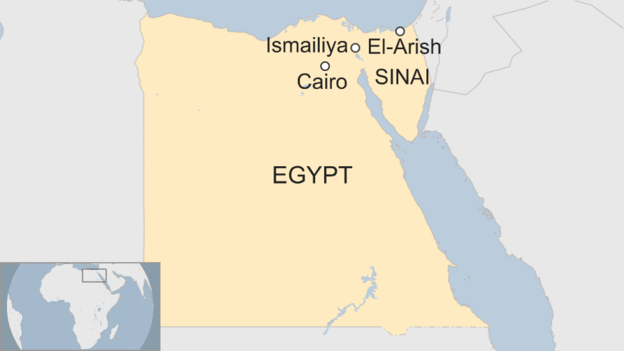 But Sinai’s Christians say security forces on the ground are unable to protect them and are overwhelmed by the militants. 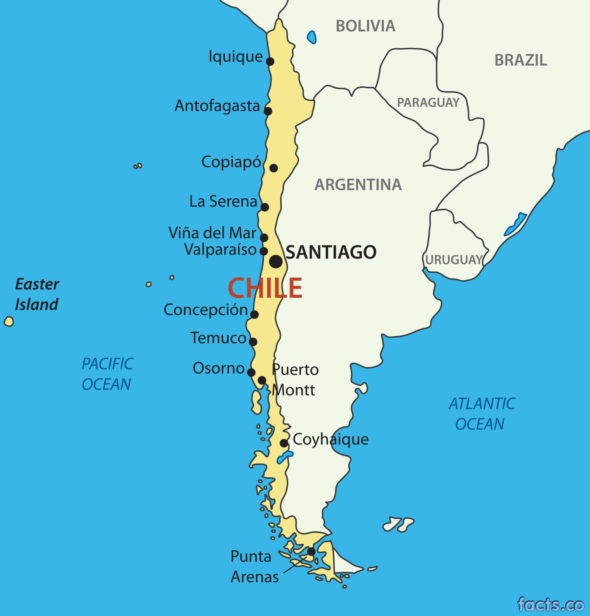 (from BBC News) – Rainstorms and landslides in Chile have contaminated a major river forcing the authorities to cut off drinking water on Sunday to at least four million people in the capital, Santiago. 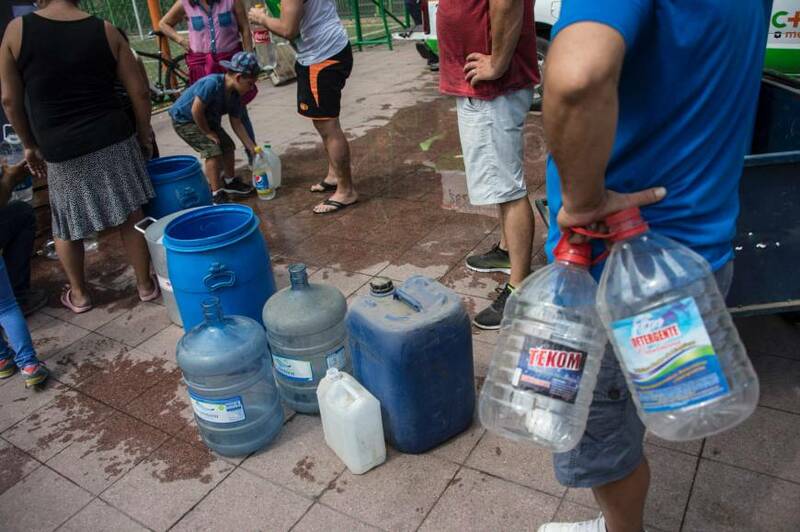 Residents of Santiago wait in line for water. Officials said the water supply from the Maipo river would be cut to most of the city until the water flowed clear. The incident is unusual as the downpours came during the usually dry summer months. At least three people have been killed and 19 are missing as rivers overflowed and bridges were washed away. Almost 400 people have been cut off in the Cajon del Maipo mountainous area. 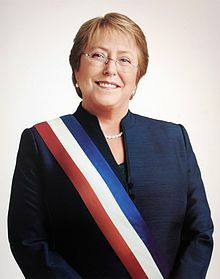 “Emergency teams are working on the ground to connect with isolated persons and re-establish the water supply wherever possible,” Chilean President Michelle Bachelet wrote on Twitter [in Spanish]. Aguas Andinas, which provides the capital with drinking water, said continuing rain was making repairs difficult. The company said it did not know yet when the water supply could be restored. “We had many landslides in a very short space of time,” he said. A 12-year-old girl was killed when the car she was travelling in with her family was swept away by a landslide in the O’Higgins region, south of Santiago. Two more people died in Cajon del Maipo. Mr. Orrego said the heavy rains which had fallen since Saturday were “absolutely anomalous” for the summer period. More than 60% of households in Santiago woke up on Sunday to find their taps running dry. Many queued to fill buckets and pans with water provided by the authorities. Some shops ran out of bottled water and a number of supermarkets reported scuffles between people eager to stock up. Restaurants and businesses in the affected areas were ordered to stay closed and schools were also told to delay the start of the school year, scheduled for Monday. The flooding follows months of drought and a series of deadly wildfires which burned for weeks. (by Joseph Sipalan and Angie Teo, Reuters) KUALA LUMPUR | Malaysia on Sunday declared its international airport a “safe zone” after completing a sweep of the terminal where the estranged half-brother of North Korean leader Kim Jong Un was assaulted with a deadly chemical last week. Since then, tens of thousands of people have passed through the terminal, with the location of the assault remaining accessible. The police forensic team, fire department and Atomic Energy Licensing Board swept the budget terminal of Kuala Lumpur International Airport at 1 a.m. on Feb. 26. “We confirm, number one, there is no hazardous material found in KLIA2 [airport], number two, KLIA2 is free from any form of contamination of hazardous material and thirdly, KLIA2 is declared a safe zone,” Abdul Samat Mat, the police chief of Selangor state who is leading the investigation, told reporters at the airport. The location of the assault was cordoned off during the sweep but the rest of the terminal remained open. Security camera footage released by Japanese broadcaster Fuji TV showed the moment two women assaulted Kim Jong Nam with a cloth authorities suspect was laced with the nerve agent. In later clips Kim is seen asking airport officials for medical help. Airport authorities said he complained of dizziness and died on the way to hospital. Authorities have said there have been no anomalies in medical cases reported at the clinic since the incident. They also said medical staff at the clinic are in good health. The two women – one Indonesian and one Vietnamese – have been detained, along with a North Korean man. 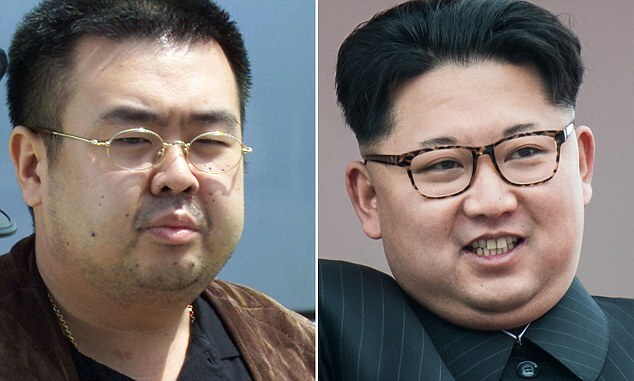 Seven other North Koreans have been identified as suspects or are wanted for questioning, four of whom have since left for Pyongyang, police said. 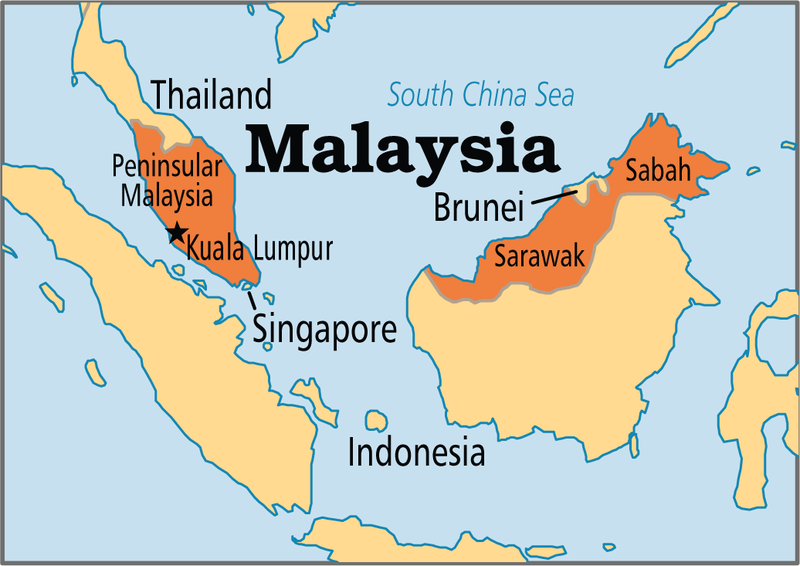 Police are also sweeping other locations in Kuala Lumpur that suspects may have visited. Police chief Abdul Samah said on Saturday authorities raided an apartment in an upscale Kuala Lumpur suburb earlier this week in connection with the death, and were checking for any traces of unusual chemicals in the apartment. b) How many Christians have been murdered by Islamic State terrorists in the past month in Sinai? How were they murdered? c) Who was murdered by an Islamic State suicide bomber in Cairo in December? 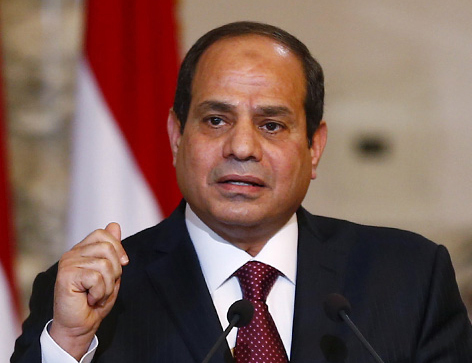 d) How did President al Sisi respond to the latest attacks on Egyptian Christians? b) What is unusual about the large amount of rain that fell in Chile this past week? c) What two natural disasters preceded the flooding over the past few months? b) b) Why do you think Malaysian authorities waited 2 weeks before doing a sweep at the airport where Kim Jong Un’s brother was killed with such a deadly poison? After Islamic militants barged into his uncle’s house, shot him and his son dead, then looted the place and set it on fire, Said Sameh Adel Fawzy knew it was time to leave. The 35-year-old Christian, who owns a plumbing supply business in Egypt’s troubled northern Sinai town of el-Arish, packed up a few belongings and brought his family to the Suez Canal city of Ismailia, joining hundreds of Christians fleeing a spate of sectarian killings last week. “My cousin went to open the door after he heard knocking,” Fawzy said, speaking from a youth hostel where authorities were putting up dozens of families who fled the town. “Masked extremists, terrorists with a pistol, took him inside and shot him in the head,” then dragged his screaming mother out to the street half-dressed and killed her husband. The woman, still in shock after the Tuesday night slayings, sat nearby. A 50-year-old Coptic Christian teacher, Gamal Tawfiq, was shot in the head by two Islamic militants in Egypt while on his way home from school Thursday, Feb. 16. The murder of took place in the coastal city of el-Arish when the teacher was attacked by two militants on his way home from El-Samran School. It’s the second murder of a Christian in less than a week in the same northern Sinai region, after suspected militants gunned down Bahgat Zakher, a local vet, on Sunday, Feb. 12. Wale Milad, a merchant and Coptic Christian, was killed in late January after militants stormed his shop. A total of 30 Christians in northern Sinai, including Copts in the military and two priests, have been killed since 2013, said a priest.